Researchers Create First-Ever Honey Bee Vaccine. vaccines are one of humanity’s greatest medical breakthroughs—ridding the world of smallpox, limiting outbreaks of mumps and measles and putting polio on the ropes. Now, reports Bill Chapell at NPR, researchers are hoping to harness the power of vaccines for the first time to help honeybees, which are currently being bombarded by a long list of threats. Vaccines in non-human creatures are not new—any responsible pet owner has taken their dog or cat to the veterinarian for plenty of rabies and Lyme disease vaccinations. Inoculating an insect, however, is very different. In typical vaccines, either a dead or weakened version of a virus is introduced into an animal, whose immune system is then able to create antibodies to fight the disease. Insects, however, don’t have antibodies, meaning they don’t have the same type of immune response as we do. Biologist Dalial Freitak of the University of Helsinki, the study’s author, found that when a moth was exposed to certain bacteria, usually through eating it, it was able to pass down a resistance to the bacteria to the next generation. She met with Heli Salmela, also of the University of Helsinki, who was working with a bee protein called vitellogenin that seemed to trigger the same reaction to invasive bacteria in the bees. The two began using the protein to create an immune response in the bees against American foulbrood, an infectious disease that is harming bee colonies across the world. The vaccine helps the bee’s immune system recognize harmful diseases early on in life, similar to the way antibodies in the human body recognize diseases. 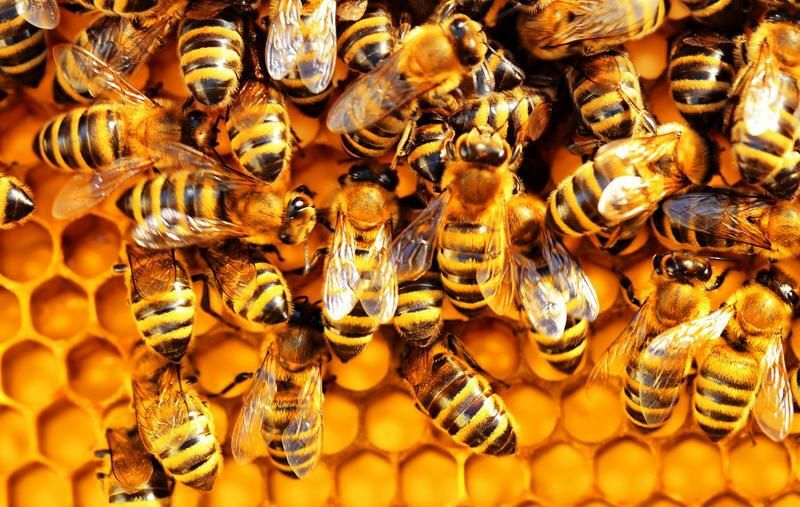 When the queen bee consumes foulbrood bacteria, the vitellogenin protein binds with the pathogenic molecules, which are then passed along in her eggs. The developing baby bees’ immune systems then recognize the foulbrood bacteria as an intruder, setting off an immune response that protects the bee from the disease. The result is a vaccine against foulbrood the team is calling PrimeBEE. The technology is undergoing tests, so it is not yet commercially available. The team has also yet to decide if the vaccine will be delivered by feeding queen bees sugar patties or if they will send out queen bees that have already been innoculated against the disease. The team says that the new technique could be used for other bee pathogens as well. Bees could certainly use some good news. Since 2006, and perhaps a little before that, honey bee colonies began to experience something called Colony Collapse Disorder, in which hives would dissolve over the winter months. Researchers looked for causes from pathogens to pesticide exposure, but were never able to figure out exactly what was plaguing the bees. Though the problem has gotten better in recent years, the prospect of losing our bees, which pollinate lots of fruits and nuts, showed the world just how important our buzzy little friends can be.